In the spring, allergies are a source of suffering for many people. Seasonal allergies can be triggered by the body’s response to airborne allergens, such as pollen and ragweed, and can make life unpleasant or unbearable. In addition to congestion, sneezing, and a runny nose, many people experience dry eye, which causes itchiness, redness, irritation, and blurred vision. Those symptoms can make it difficult or impossible to work, attend school, and fully participate in normal activities. If you know that you are susceptible to springtime allergies, do your best to avoid allergens that trigger your symptoms. On days with a high pollen count, stay inside as much as possible. Running the air conditioner on days with high pollen counts or using an air purifier can improve indoor air quality. On days when you need to go out, try to do so at times when pollen counts tend to be lower, which are generally early morning and late afternoon or early evening. Wear sunglasses that completely cover your eyes to protect them from airborne allergens. If you need to travel in a car, keep the windows closed. If your eyes are itchy, don’t rub them. That could release more histamine and make the itchiness even worse. Airborne allergens can accumulate on contact lenses and lead to dry, itchy eyes. If you have allergies and wear contact lenses, consider wearing glasses or switching to disposable daily contacts during allergy season. Your doctor may recommend medications, such as antihistamines, decongestants, steroids, nonsteroidal anti-inflammatory drugs, mast cell stabilizers, and immunotherapy. Many people find relief from these treatments, but they can have side effects. For example, antihistamines could make your dry eye even worse. If you need to continue taking antihistamines to control your other allergy symptoms, you will need to address your dry eye separately. Many allergy sufferers find over-the-counter products helpful. Eye drops can provide the moisture that eyes need to relieve the redness and itchiness brought on by springtime allergies and can make it easier to see and to participate in normal daily activities. 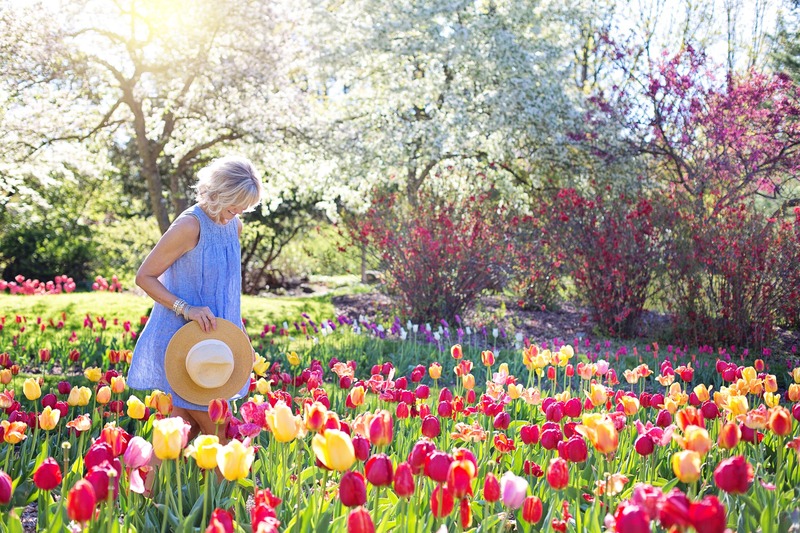 If you have spring allergies, you will likely experience the itchiness, redness, irritation, and discomfort that come with dry eye. You may be able to get relief by using over-the-counter eye drops. 1st Aid Supplies offers products that are designed with the needs of springtime allergy sufferers in mind. Order eye drops today so you can get relief from your symptoms and continue to live your life as normally as possible this spring.